Here’s a look at what’s coming out from non-DC/Marvel comic publishers for January 2018. “Cosmo” #1. Art by Tracy Yardley. Thom Zahler’s “Time and Vine” is getting a trade paperback release this month. One of the alternate covers for this month’s “Back to the Future” comic shows Verne reading a comic book (titled “World Fair Comics”) at the 1939 New York World’s Fair. Meanwhile, Jules is playing with what looks like a Superman action figure. Archie this month is relaunching its short-lived late 50s humor title “Cosmo the Merry Martian” as a new ongoing series. 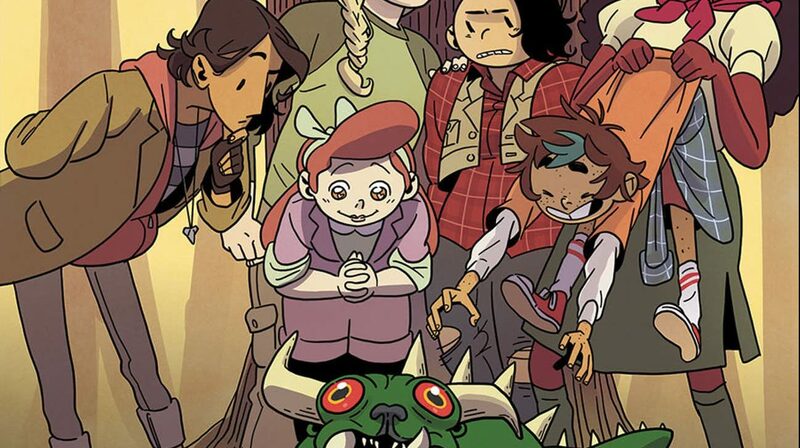 The original series lasted for six issues, though Archie reprinted the stories for decades afterwards. Cosmo himself would also turn up occasionally in Riverdale as a toy, in-universe cartoon or sci-fi character, etc. 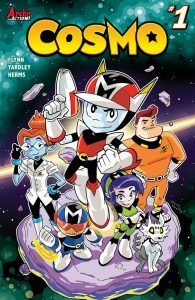 Simply titled “Cosmo,” the new series features updated versions of the original cast, similar to the take Archie’s given the rest of its line in recent years. In this case, “Cosmo” replaces the now-departed Sonic the Hedgehog franchise as a kid-friendly action/adventure title. It even has as a writer Ian Flynn, who was the main writer on Archie’s Sonic titles.